I’ve recently discovered a new Species of Magpie. The Bloated Magpie (illum turgentis sanie picave). I am filing my discovery with the appropriate authorities. The Bloated Magpie seems to be found in only one location: our back step – by the catfood dish. They are readily recognized by their robust and rotund size (Fat) – and the smell of catfood on their breathe! 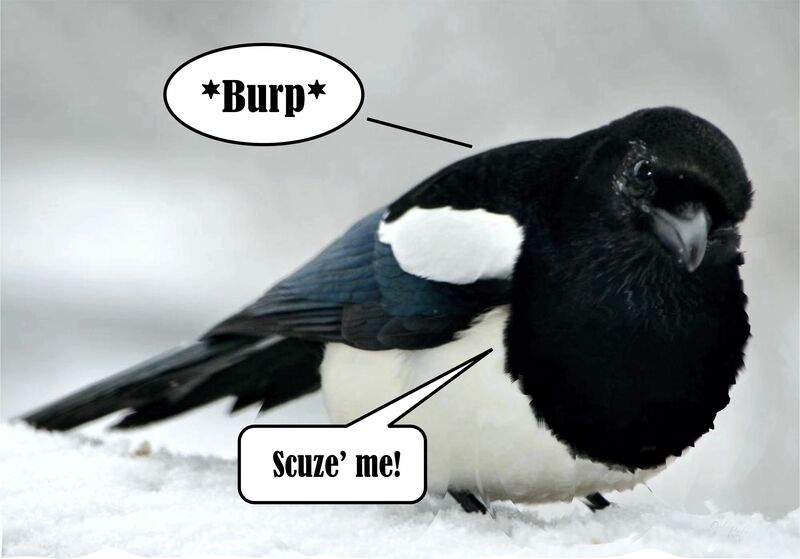 Bloated Magpies have evolved. Though ‘Bloats’ (as I call them) sometimes utter a burping sound, they are unusually quiet. Instead of the usual noxious cackling associated with the Common Magpie, they have learned the art of stealth! They are able to consume a whole dish of catfood without making a sound! 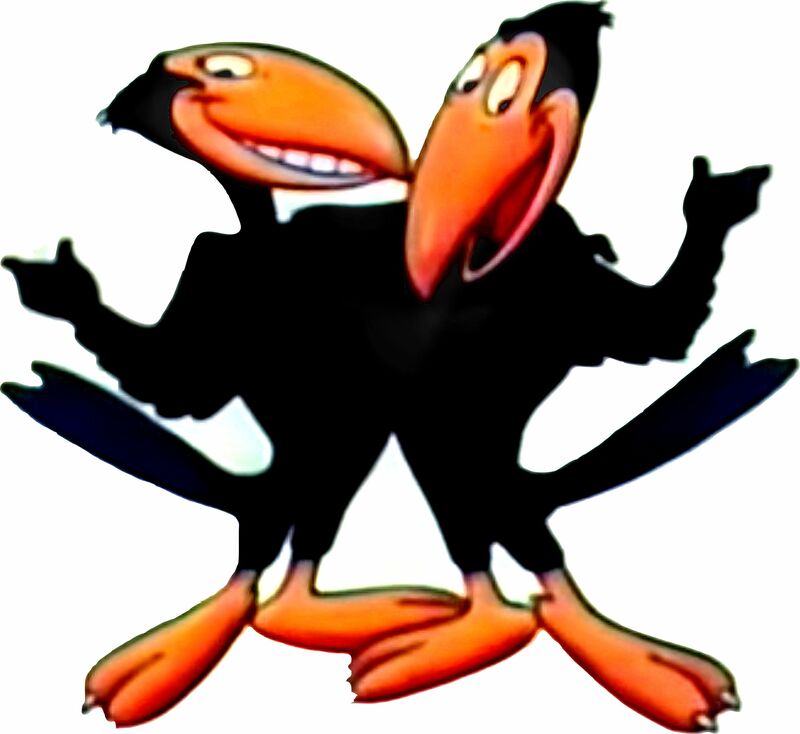 The only evidence of their presence is telltale Magpie footprints around the dish. Astonishing! Bloats also seem able to consume 3 times their normal body weight in catfood (their only known food source) which, however, renders them unable to fly. One day, as I approached the step, I witnessed a Bloat roll off the step and attempt to hide in a snowbank. 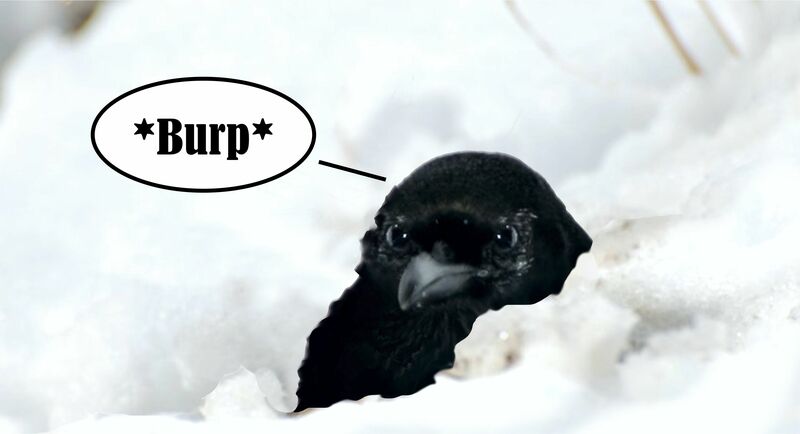 Above: Shameless Bloat attempting to hide in a snowbank! I expect National Geographic to contact me shortly.